Home Contests and Freebies Movie Time Win RESIDENT EVIL tickets from CLUB ZED! Win RESIDENT EVIL tickets from CLUB ZED! 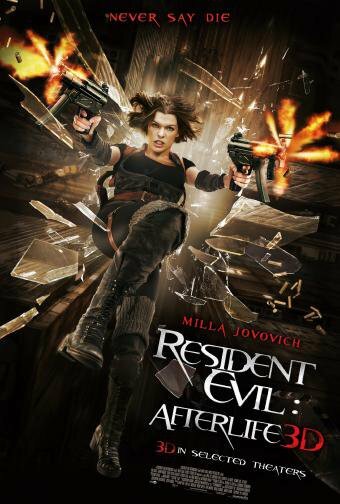 This is one cool movie you should not miss... RESIDENT EVIL AFTERLIFE 3D and Club Zed is giving free 3 tickets to 40 lucky winners. That is so far the most number of free tickets I have seen in Facebook contests so far. So how would you win? Check the details below. This contest is ONLY UNTIL SEPTEMBER 9, 2010 12:00 NOON. Post your most action-packed pose on I love Zed FB page. If you can top Milla Jovovich's pose on the movie poster, better! :D Include your real name and email address on your post. First 20 pax to gain the most likes will get 3 tickets each on “Club Zed Exclusive Screening of Resident Evil” on Sept. 10. Play our Facebook Ingenius game for FREE. Just visit www.clubzed.com.ph and click on the Ingenious game link. Remember, the game is FREE of any charge. Share your exciting experience in playing Ingenius by posting a message on Club Zed's Facebook page. Make sure to include your real name and email address on your post. First 20 people to gain the best comments will get 3 tickets each on “Club Zed Exclusive Screening of Resident Evil” on Sept. 10. *All content submitted is subject to removal from Club Zed admin if deemed inappropriate for the page.